When you are craving a decent serve of salt and pepper squid, the last thing you need is a measly serving of squid surrounded by overcompensated portions of fries and salad. 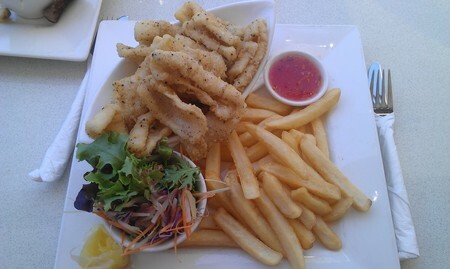 For just $18, you can enjoy a more than generous serve of salt and pepper squid at the HWY hotel. The delicate balance of seasoning on the squid means your tongue wont suffer from either too much salt or too much pepper. This, coupled with their fresh fries and salad is a great meal to have while watching a game or catching up with friends over the weekend. There is nothing modest about the portion; one serve could easily qualify as a share meal. Otherwise, bring your appetite along. Why? Great meal, better price! I looove the Highway! Their food is delish!